I was thinking about Da Vinci the other day. He was said to be a graceful man: moving with balance and dressing in rich materials and draping styles. Da Vinci wasn’t just a painter, he was a man who could ride horses, fence, swim – he was present in the moment while simultaneously lost in his thoughts, which was somewhat like me as I thought about Da Vinci and prepped for the day, juggling a hair dryer in my left hand, and a cup of coffee in my right, and trying to plan out this post. Though I can’t say that I was very graceful. Actually, with all that juggling I was doing in the morning, it was hard to be present in any kind of moment. But you know what caught my attention above all? The use of my left hand in styling my hair. It was totally awkward. And thus, inspiration struck! Did you know that Da Vinci was ambidextrous? He could write left or right-handed, forward or backward. 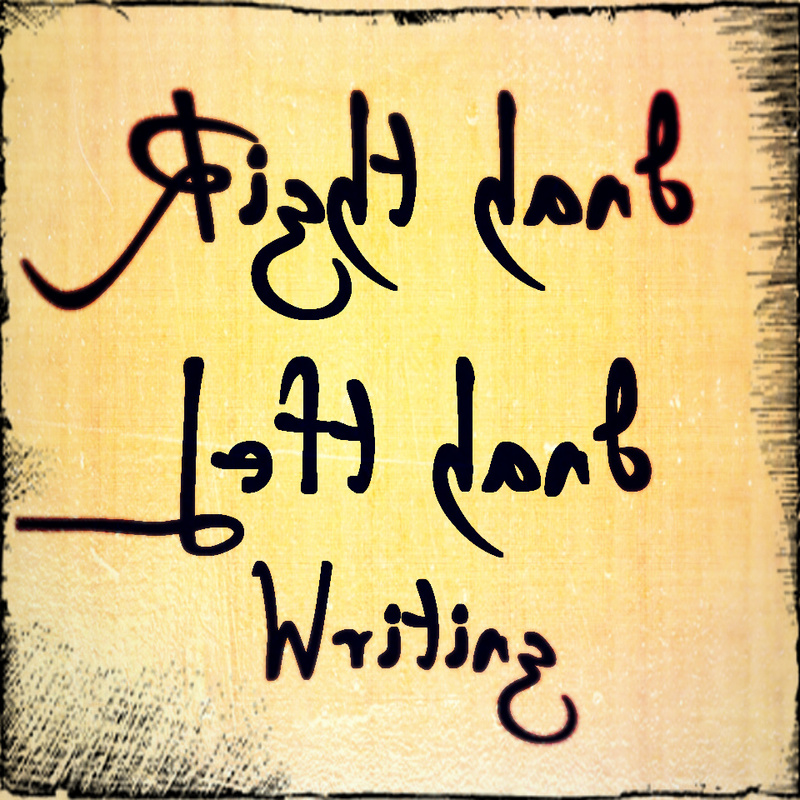 Now I wouldn’t say we all need to train hard and become ambidextrous (though that could be worthwhile, perhaps, in cultivating whole brain thinking), but there is an interesting exercise you could try in left & right hand writing. Without getting too detailed, it is interesting to point out that the left hand has connections to the right side of the brain, and the right hand has connections to the left side of the brain. So if you, for instance, use your right hand predominately, just imagine that your right side of the brain is constantly getting a workout, while the left is less active. 1. Write a question with your dominate writing hand at the top of a blank piece of paper. 3. Find yourself a timer or a clock – set the timer for ~two or three minutes. 4. Once the timer start rolling, with the pen in your weaker hand, write out the answer to that question and do not stop until the time has passed. It doesn’t matter what comes into your mind or onto the page, just keep writing. This is ‘free flowing’ and it helps you get past your inhibitions. 5. Now that you finish, read over your answer to the question. Were you surprised by what you wrote? Were you able to answer your question? Whenever you feel stuck on a problem, give this opposite hand writing exercise a shot. It can help tap different perspectives inside yourself, and bring up ideas you may never have consciously considered. Whether Da Vinci being ambidextrous contributed to his gracefulness can obviously be argued either way. But personally, I think that balance and use of both sides of the mind was huge, and was in fact part of his genius. And while we can’t all paint the Mona Lisa, we can all pick up a pen with our weaker hand. Give it a shot and let me know what you think. I’d be glad to hear!